← The outlaws of the Nuweveld. It goes like this Tweeta tweeta tweeta. No, throw back your lips and let that weeee go, so it comes out Tweeeeta tweeeta tweeeeta. Now you have the call of the mystery bird of Observatory. Always heard but never seen. The yoga class on Beryl street heard it all the time. Some in the class who knew their birds tried to identity it. But they couldn’t put a name to that bird whose distinct shrill daily bled into the twilight. So I picked up the challenge. I asked around. “It is a baby Cuckoo begging for food,” ventured a vet. Late one night at a bush pub bar on the shore of Loskop dam I asked a nature guide, someone in the know. “So you say it goes Tweet tweet tweet. Boet have another whisky,” he said. Perhaps like 52-hertz whale, who sings its lonely song in the Pacific, Tweeta tweeta is also out of tune. A one of a kind, mate-less and with a song only it understands. Then on a guided walk, we met well known bird author Geoff Lockwood. “Are you sure?” We asked. “Yes,” he said killing the mystery and giving Tweeta, oh sorry Tweeeeta its rightful name. 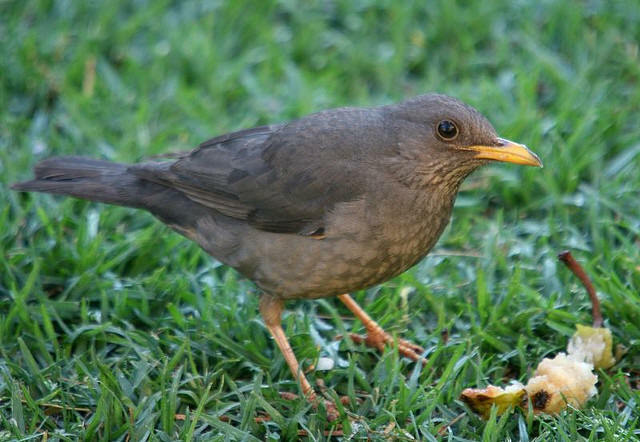 This entry was posted in johannesburg and tagged birdwatching, Geoff Lockwood, Karoo Thrush, mystery, Observatory. Bookmark the permalink.